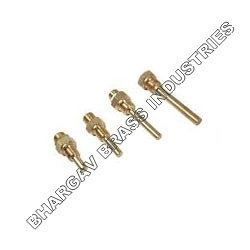 We offer Brass Components to user drawings and prints we specialize in machined Brass Components, Brass Turned Components Small big cast Machined Brass Components, Cast Brass Components Forged brass Components Stamped Brass Components from miniature 1mm to 200mm Brass Components Turned Brass Components to custom specification. Ranges: As per customer's requirement. We will develop the components as per customer's engineering drawing or Master sample. Product Name- turned and milled components. Manufacturing for : medical industry,petrolium industry,petroleum industry,refrigeration industry,automotive industry,transformer industry,scientific industry,heating and cooling industry,machine tools industry,electronics industry. Brass Components,Brass Parts,Brass Turned parts,Brass milled parts,Brass Parts to Custom Specification Brass parts Turned Components to user drawings and prints We specialize in machined Brass components Brass Turned Components small big cast machined Brass parts components cast brass parts components forged brass turned parts components stamped brass parts components from miniature 1mm to 200mm . Material :As per customer's Required Grade. 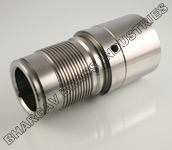 We develop the product as per customized drawing or samples. Packaging Details: standard export packing. With expertise of our professionals, we have been able to offer to the customers a wide range of best quality Brass Sensor Components. This range has been in wide demand by many industrial clients for the perfect finish and dimensions of it. These products are made from the best quality brass, the products are available to the customers in the most comprehensive & leading prices. With the dexterous support of our expert team-force, we are able to provide Ferrule Pipe and Tube Fittings. The products are manufactured using high-grade raw material, purchased from the most authentic vendor in the industry. 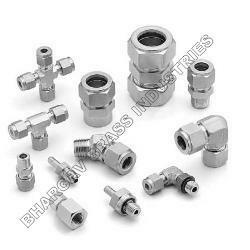 In order to ensure the quality, our hired industrial experts properly check these products. 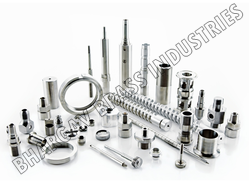 We are one of the most appreciated manufacturer and supplier of Metal Turn Components Like Brass,steel,copper,aluminium,bronze,AB1.These high quality products are applied in Various industry like Gas,pipe fittings,medical industry, petrochemical,machinery,electrical abd power supply industry,electronics instruments manufacturing industry,refrigeration and air cooling industry,Bearing and automobile industry. Apart from this, these are fabricated under the supervision and surveillance of highly skilled team of experts. we will be happy to develop the samples as per your reuirement. 1 mm to 200 mm OD turning facility. Nickel,chrome,copper,tin,natural colore, as per cutomized. Looking for Brass components ?